“Event Management” is an application of the Project Management. Event means occasion, celebration or a concert where the gathering occurs. Management means proper utilization of resources in proper order. Events are the integral part of our lives. We use to have events like festival, ceremony, birthday, wedding and celebrations at our home, college or offices. Some events are so big like the Olympics, celebrities’ award function, political oath ceremony, big wedding occasion, national & international level competitions etc. The “Event Management” is a process of planning and executing the functions, festivals, occasions, ceremony, party, competitions and conventions”. Event Management involves the existing dates, budgeting, event site selection, security, support teams, transportation, parking, decorative, acquiring permits, anchoring, housekeeping, catering and emergency plan. Get Latest Career Notification about Event Management Courses, by entering your details below. The scope of event management is in trend and very demanding. The one who has leadership quality and interested in doing something different then it is best suited profession for you. As we know that in every programme or event the management of all things is very important parameter. So, it is that profession where you can find large numbers of job prospects in everywhere. You can find the job in companies those individual organizing and hosting events. You can also take part in international events as a host. You can become an event manager in various sectors where events are organized nationally and internationally. You can also work as a public relation executive in different advertisement and media houses. You can also run your own business in this field. Communication Skills: You have to be a frank nature person so, that you can easily communicate with the different kind of people. In event management you have to meet various kinds of people so, this skill is very important for you. Organizational Skills: Under this, you have to know the techniques of balancing and managing people, schedules, vendors and many other things that come in the event managing. Leadership Quality: This quality is the very important parameter which has to be present inside you to become a successful event manager. With this quality you can guide your team. This quality also takes you at a higher level. Passion and Enthusiasm: An effective event manager should be active and energetic. Your passion and enthusiasm towards your work will give motivation to others. Time Managing Skills: The key parameter of any event is the time management, which is demanding by the customers. So, you have to be focused towards time management. There are so many numbers of institutions and universities which are offering the courses in event management leading to the diploma and degree courses. For Diploma course: Candidate is required to pass class 12th in any stream from any recognized board. For Master course: For admission in master courses, you must hold a bachelor’s degree in any stream from any recognized college. If you have completed your School education or graduate studies and wish to build your career in event management then you can choose any course from certificate, diploma to degree. As an event management professional, you should have leadership skills, planning skills, problem solving skills and marketing & communication skills. To get the admission in MBA in event management, you must be appearing in entrance examinations after the completion of your graduation. 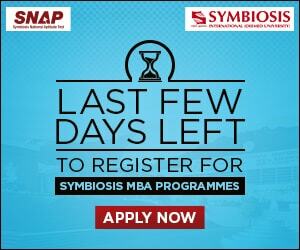 After 12th you may go for the Integrated MBA (5 Years), or diploma programmes. You can get admission in management courses through XAT 2019, ATMA 2019, CAT 2019 & MAT 2019 exams. Some of the affiliated universities conduct their own admission examination. You can do the professional course in event management while you had any stream in qualifying examination like medical, engineering, science, art and humanities. Beside these you may join the event management company or the media house. The remuneration in this field is variable to the type of industry, your role & responsibilities, the location of the firm, your experience and the business of your organizations. You can establish your own event management enterprise and can bag huge amount in cash or cheque form. Freelance work is very popular in this field. A fresher can earn the 2 lakh to 2.5 lakh per annum. Within 3 – 4 year of experience you may earn 3-4 lakh per annum. For more information regarding Event Management, ask your queries below. So after 12th we can do bba in event management right? l am thinking to do even management but i need guidance can you plzz help?? Sir actually after 12th i m doing BA…and i am in second year but my interest is in event management. So can i do event management?? Sir I have completed my 12th . 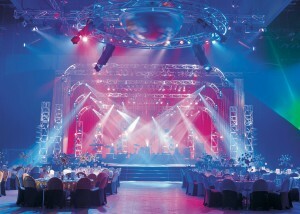 I’m interested to do event management course . So I want to know some details about this course. Check details here for event management. I am residing in chandigarh and tell me in chandigarh which college or university is best for event management diploma 1 year program. So after 12th we can do bba in event management right? I am in 12th & i am thinking to do even management but i need guidance can you plzz help?? Plz list the name of the colleges offering this course. Is diploma a better option or MBA? Sir, I passed 12 by pcb what I will do for event management course please sir explain me in detail. Please sir reply me please. .
Hello sir i m doing BBA ty .in event management course greduation is required or not can we do on 12th base?how many year course is there for event management plz help me….. 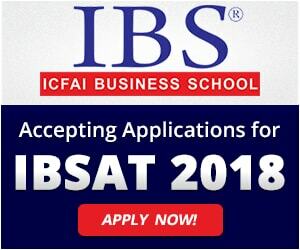 Yes, you can apply for this course after 12th class. Hello sir I want to do event management course is it good to join online event management courses ? I want to do event management course can you explain me the jobs opportunities in event management course in India how I will get jobs at event management companies in India or out of India. i want to do event management . But ive taken BA. is it possible for me to pursue it from BA only? I want to do event management course, i droped out my b.com course… So please advice me which event menagement coure should i opt for…. this is very interesting blog for growth career in this field. As soon as Join this field. I want to know the details for event management after 12th. An about its fee structure…. Plz provide all the info about it..
You can check the information above, we have covered everything, if you’ve any specific query you can ask us. I want to ask how I could get into event management just after 12th,courses regarding event management and colleges and fees. Hope I could get a detail idea as I need it badly. Please list the institutions that offers event management courses to a 12th pass candidate..
please provide the list and details of collages or institutes offering event management courses.